Last year, Sony’s A7s camera blew us away with its low-light video powers that could capture decent footage, even when in complete darkness. Today, we’re getting a new version that shoots 4K video. The A7S II boasts the same 12-megapixel sensor as the A7S, with the same 100-469,600 ISO range that can be expanded to 50-409,600. But for those times when you’re still stuck shooting with a slow shutter, the A7S II now has the same 5-axis image stabilization as the A7 II and the A7R II to cancel out shake while using a telephoto lens, or smooth out camera movements when shooting at night. The biggest upgrade for the A7S II is that it can now capture video at resolutions up to 4K. If you recall, the original A7s topped out at 1080P natively unless you were willing to add an external recorder to pull and capture 4K data from the camera. But the A7S II does it all by itself, and without the use of pixel binning, which is a CCD software trick often used to increase low-light sensitivity and reduce noise. It works, but this technique often results in image artifacts that videographers in particular want to avoid. The final notable upgrade for the A7S II, which will be available starting in October for $3,000, is a new 169-point autofocus system. In real-world numbers that means the A7S II can now lock focus on a subject twice as fast as the original A7s could. Not quite a crucial feat for when you’re shooting video, but a definite plus for anyone who intends to use the A7S II as their all-around shooter and doesn’t want to miss any action when snapping photos. 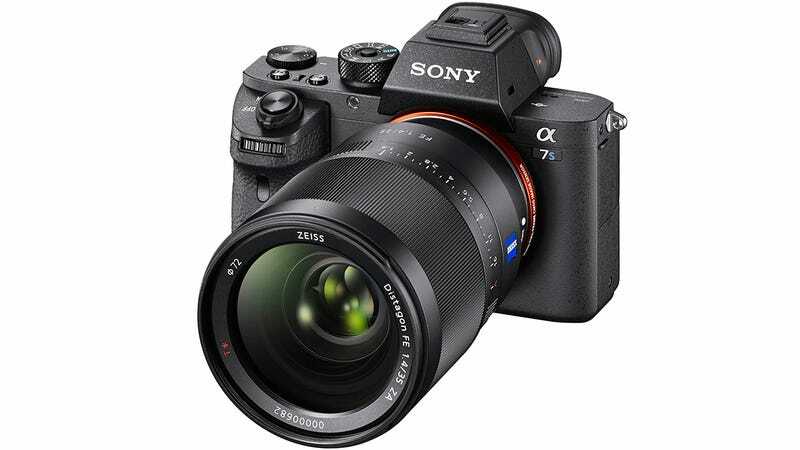 The A7s II of course isn’t the first mirrorless camera to shoot 4K. Sony’s new A7R II does that too, Panasonic’s micro four-thirds GH4 has been shooting 4K for well over a year now, and its GX8 has been available since mid-August. But even then, it’s really not like Sony is playing catchup because it will be years before 4K is even remotely close to being prevalent in homes and movie theaters. With the death of 3D, however, manufacturers need some buzzword to hype and that crown has been thrust upon the head of 4K. In another decade there’s no reason to think it won’t be as common as HD is today, especially now that even smartphones can handle it. But for now it’s a feature that every company seems to want you to have, even if there’s no real use for it just yet.